Did you realize that many vegetables will grow without irrigation? Like us, most plants thrive when they get plenty of water – but some crops are also very good at mining for the moisture they need and hanging on to whatever falls from heaven. When it comes to survival gardening, ensuring a good supply of water should be a top priority, yet there are times when it isn’t easy to drag water around or get irrigation to a field. If that’s the case, you might need to think differently about both how you grow and what you grow. Steve Solomon wrote an excellent book on gardening without irrigation that really nails down some techniques, plus shares the great potential of dryland farming. You can read it for free here. Just a heads-up: typical intensive raised bed production is NOT the way to grow crops without water. Go read Solomon’s book if you’re interested. Seriously. For now, though – let’s take a look at seven survival crops that are pretty easy to grow without irrigation. Let’s attack them in alphabetical order. Just because. 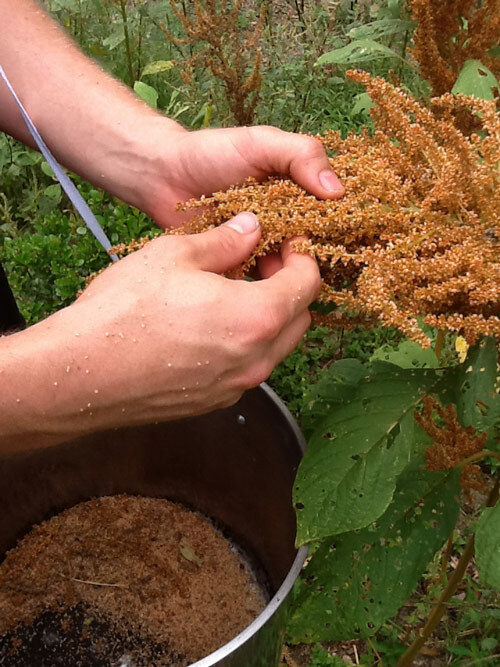 The reason amaranth stands apart as a grain is that it’s also a good leaf vegetable. It also requires minimal processing to be edible. Sure, the yields are low, but it’s easy to grow and it will usually yield abundantly even without being watered by man. I planted some a few years ago and it’s reseeded and come back again and again without any help from me… I just pop out and harvest it when I think about it. This last year I conducted my first experiment growing corn without irrigation and was quite happy with the results. It wasn’t quite a fair test since we had a wetter spring than usual, but there were a couple of weeks in a row that went by without rain. 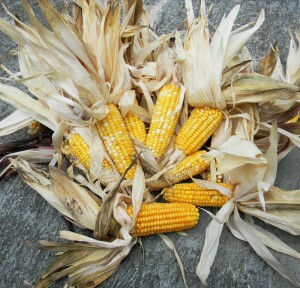 Though folks often think of corn as a “needy” crop, some of the old heirlooms are true survivors. They were bred in an era before high-pressure sprinklers blasted water fifty feet into the air. Corn was a big part of Southwestern agriculture before the Spanish arrived… and you can bet the Aztecs weren’t that interested in hauling big clay pots of water around. 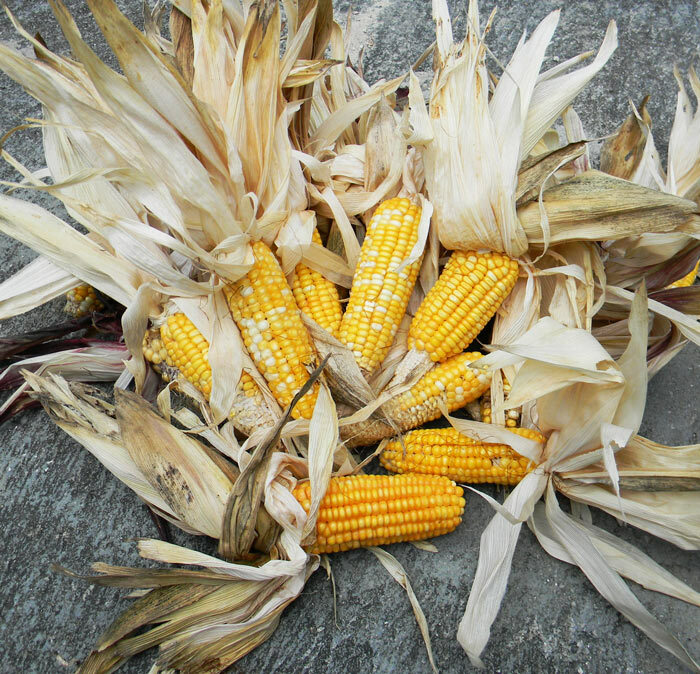 David – what's your secret to growing corn organically? My plants are sabotaged from the moment they sprout up until, if I'm lucky enough to have them last this long, the beetles feast on the cobs. It is truly a daily struggle and most of the organic sprays I've purchased have a once weekly application. I think we have a bit better climate than you up here. The bugs don't get bad until after the corn gets going in the spring. If you can find "Tex Cuban," that's a good grain corn to try. I've had worse luck with sweet corn. You might try planting in higher density until the corn grows up a little, then thinning out the weaklings (unless the bugs have already done it for you.) It may just be that your land isn't corn land… which is okay… there are better things to grow in a small space anyhow. I do believe my land (reclaimed phosphate land) just isn't "corn land" and I'm OK not growing it (last thing I need is corn on the cob and butter – LOL). Thanks for the information. 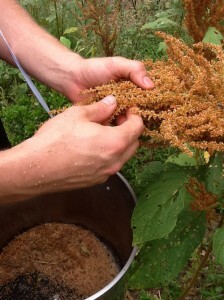 The name for amaranth comes from the Greek amarantos, “one that does not wither," or “the never-fading.” Right on point.